HNBGU Admission 2019 – Hemwati Nandan Bahuguna Garhwal University has released notification for Admission to various programs of study for the academic year 2019-20 will be processed under two categories (Entrance and Counseling). Category 1: Admission through Entrance Test for M.A./M.Sc./M.Com./MCA/ M.Pharm./ M.Tech./MSW/LLM/ B.Pharm./ B.P.Ed./ BHM/B.Lib./B.Tech. (Lateral Entry)/P.G Diploma courses. The process of the admission for different courses has commenced and the candidates who are seeking admission to the said courses shall take part in the HNBGU Admission 2019. It may be noted that the selection of candidates for admission shall be strictly on merit basis. The process of HNBGU Admission 2019 shall be organized as per the schedule provided below. Weightage for participation in co-curricular activities will be given to the eligible students. The maximum weightage permissible is only 5%. f) Participation in National level literacy/culture/ quiz competition-individual= First-4%’ second-3% and third-2% and, team= First-3%, second-2% and third-1% (maximum 4% in all). 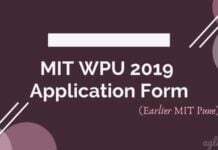 The detailed eligibility criteria for each course is available in the Information Brochure released by the Hemvati Nandan Bahuguna Garhwal University. It is advised to the candidate to check the course wise eligibility criteria also. The application form for the HNBGU Admission 2019 for various courses will be available at the official website. The candidates who are willing to apply for HNBGU Admission 2019 are required to register themselves on the official admission website of HNBGU. The direct link to access the online application form for HNBGU Admission 2019 will also be provided here for the sake of candidates. For PG, PG Diploma and Professional Courses(MBA & B.Tech. ), the fee will be: Rs 400/- for GEN/OBC/EWS & Rs 200/- for SC/ST/PH. Hemwati Nandan Bahuguna Garhwal University will issue admit card for the entrance test. Admit Card will be downloaded from the official website of HNBGU, hnbgu.ac.in. 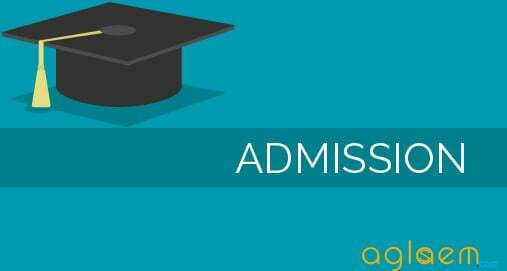 Candidates have to bring that downloaded admit card at the exam center. Without Admit Card, no candidates will be allowed to take entry in the examination hall. The Entrance Test for various courses will going to be held at various centers. The candidates shall choose the Exam centre as per their preference. The exact name and address of the center shall be indicated on the Admit Card which will be issued soon. The following the centers where the HNGBU Entrance Test shall be held. 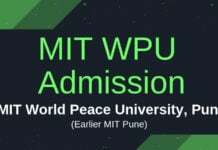 Students shall have to appear in written examination consisting of 100 multiple choice question (MCQs) based on undergraduate syllabus of the concerned subject of this University for post graduate programs. A candidate can appear in Entrance Test for P.G. programs maximum in three subjects. Candidates applying for more than one PG programs need to apply separately in application form along with the prescribed fee. For details, please visit the University website www.hnbgu.ac.in. Each question shall be of 01 marks and there shall be no negative marking. In case of diploma programs, MCQ question paper shall be based on general knowledge, current affairs, aptitude and elementary knowledge about the subject. However, for Advance Diploma in Environmental Economics, go through the syllabus of M.Sc. Environmental Sciences of H.N.B. Garhwal University available on the University website. For B.P.Ed. Degree programme, beside the entrance test, the candidate will also have to pass physical efficiency/sports proficiency test at Srinagar (Garhwal). The medium for written test will be English for subjects under Schools of Sciences, Life Sciences, Agriculture and Allied Sciences, School of Management, School of Engineering and Technology, School of Earth Sciences (Excluding Geography, Defense, and Strategic Studies) and medium for rest of the subjects in other schools will be bilingual (Hindi and English) (Excluding languages). Hemwati Nandan Bahuguna Garhwal University will declare the result of HNBGU Entrance Exam 2019 at the official website i.e. hnbgu.ac.in. Candidates will be able to download their result by entering roll number. The Hemwati Nandan Bahuguna Garhwal University is today among the 10 largest Universities in the country with 3 campuses and more than 180 affiliated colleges/institutes and examining approximately 1.9 lakhs students annually. This was established under the U.P. State Universities Act 1973, in December 1973. The H.N.B. Garhwal University has its Headquarters at Srinagar – Garhwal, 105 Km. from Rishikesh on the NH-58 in the wide valley of Alaknanda River, one of the Parent Rivers of the National River Ganga. The University offers a vast variety of Academic programmes through its 14 Schools. The students who have the quest for knowledge, innovative learning and excellence are welcome to join this University. 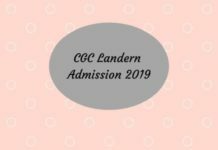 For detailed information about HNGBU Admission 2019 – Download Information Brochure. session ke liye. please info. me by mail. hey there the counselling will be start soon. I did my bachelors in biotechnology but when i was filling the form of hnbgu i didn’t find the option for msc biotechnology, because of which i had no choice other than msc micro and i gave the exam and got the name in merit list. I just want to ask is there any chances to change the course or i should go for msc micro form hng or i just take admission in some other college… Please suggest me I’m so confused… I will be a big help. Sir m.sc math ki counseling kb sy start hoo rhii ha…. Sir site pa jo answer key padi ha us ma 5 answer galat ha please sir see that, in gnm answer key 2018.